1. How do I become a resident at Bluffs Landing Senior Village? You must be of age 55 or better and be able to meet the income guidelines set forth by the Texas Department of Housing and Community Affairs -TDHCA. Merritt Communities participate in the Low-Income Housing Tax Credit program and offers affordable rents. Unlike most housing programs that are administered by HUD, the tax credit program is administered by the IRS, in coordination with state housing finance agencies across the country. Please refer to the rent and income page for specific information. Please call the property for more details. 2. Is the rent based on my income? No. Unlike other housing programs, tax credit rent is based on the average income in your county or other local areas. This average is known as the "area median gross income" (AMGI), which HUD updates each year. Your actual income matters when it comes to determining if you qualify for a low-income apartment at a tax credit property. But the actual rent you pay is not based on your income. 3. Do you have accessible units? Yes, we have units designed for impaired mobility, sight, and hearing. 4. Can I see an apartment before I complete an application? Absolutely, we encourage you to visit Bluffs Landing Senior Village, meet our dedicated staff, see your new apartment home (or one that is comparable in size and floor plan), and check out all the great amenities and services that Merritt Communities offers its residents. To request a guided tour, simply drop by Bluffs Landing Senior Village during regular office hours and ask for a member of our leasing sales team. For office hours, Click Here. 5. Do I need to get recertified each time my income changes? Fortunately, no. The tax credit program does not have interim recertification's which means if you switch jobs, get a raise or sell an asset, you do not need to have your income calculated and verified again. You will need to meet with Management annually to recertify your income once a year, usually around the anniversary of your original move in. 6. What must I bring with me to tour an apartment? 7. Do you have move-in specials? In addition to our superb amenities, dedicated staff, and exceptional services, Bluffs Landing Senior Village may offer occasional move-in specials. Find out more about a current move-in special by calling the leasing office. 8. Does the rent ever increase? Our rents are determined by the TDHCA each year and may be adjusted accordingly. Sometimes based on an annual review of costs it is necessary to increase our rents to cover these costs. 9. Do you allow pets? Bluffs Landing Senior Village is pet-friendly. We accept all domestic pets however there are breed and weight restrictions of 25lbs and less. Unfortunately, wild, exotic, endangered or poisonous animals, reptiles or birds are not permitted on the premises. 10. How many pets may I have? At Bluffs Landing Senior Village we allow a maximum of 2 pets per home. 11. Are there any deposits, special fees, or monthly charges to have a pet? A refundable deposit is required and there is a monthly pet rent fee. Please call the leasing office for more details. 12. What does your tagline of "Time to live life well" mean to me? It means that you can enjoy luxurious apartment living, resort-style amenities, superior service and a maintenance-free lifestyle. We promote wellness through a wide variety of activities, special events, lectures, and classes. Every minute you spend at Bluffs Landing Senior Village will be living life well. 13. Do you have elevators? We sure do, we have elevators located throughout the communities for your convenience. Yes, you may park in our parking lots, or for an additional charge, we offer covered parking. Please call the leasing office for more specific details. Yes, if there are no damages upon normal wear and tear and you have no prior balance owing on your account then your security deposit is fully refundable. At Bluffs Landing Senior Village we will do everything we can to work with you. There is an 85% cost for a reletting fee of one month's rent with a 60-day notice that is required when breaking the lease. There may be other fees due, but we ask you to please talk to the property manager to learn more. 17. How many days' notice is required to terminate my lease once my lease is fulfilled? Our lease agreements are 12 months and will require annual recertification of income and assets every 12 months to determine income eligibility. We strongly recommend that all residents have rental insurance for their peace of mind. Our Insurance does not cover damage to your personal possessions, including your vehicle(s). More details about renters insurance are available at the leasing office. 21. Do you offer furnished apartments? Bluffs Landing Senior Village has formed partnerships with premier furniture rental companies that can assist you with rental furniture and household items. 22. Do you offer corporate apartments? Bluffs Landing Senior Village does not offer corporate apartments at this time. Maintenance-free living is one of the many services you will discover when you make Bluffs Landing Senior Village your home. You can rest assured our team is committed to responding quickly to your maintenance needs. To place a maintenance service request, please visit our website and select your community and enter the pertinent information or stop by the office and complete a written service request for the needed repair. If you ever have a maintenance emergency after hours please call the office phone number and it will direct you to the emergency maintenance line. Your rent is considered late after the 3rd day of the month. On the 4th day, you will start to incur late fees. Yes, there is a designated drop box by the leasing office for after-hours payment of rent. At Bluffs Landing Senior Village you can rent a covered carport that is reserved just for you. 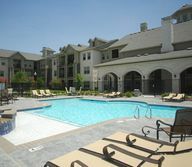 There is an additional fee so please ask the leasing office for more details and about availability. 30. My family visits me in the summer; do I need to notify your office when they arrive? Our lease provision allows for guests to stay during a 3 month period for 7 days at a time. Any longer visits must be approved by management. 31. Do you have cable TV services? Yes, we offer discounted extended basic cable services to all our residents. Please ask the leasing office for more details. 32. Does the property have a fitness center? Yes, our property has a fully equipped fitness facility available to all residents. 33. Does the property have a swimming pool? Yes, our property has a resort style swimming pool. 34. Are gas grills permitted at your property? Per local and City fire code ordinances, gas grills are not permitted on the balconies or patios. However, we have provided charcoal BBQ grills throughout the property for your use. 35. Is there any additional storage space available at your property? Yes, additional storage spaces located on-site are available for rent at an additional monthly fee. 36. Are residents permitted to paint their apartments? 37. Will you accept my delivery packages for me? 38. How are residents' suggestions handled? A residents' suggestion box is located in the foyer by our leasing offices for your suggestions and concerns and we address each suggestion and concern with an open mind and will accommodate and address immediately whenever possible. 39. Can the clubhouse be rented out? The community dining room can be reserved with a refundable deposit when not in use for a scheduled event. Additional rules apply so please contact your management office for specifics. 40. Do the apartments have a full kitchen? Yes, the kitchens come equipped with a self-cleaning oven, a refrigerator with ice maker, a dishwasher, a microwave and a disposal. 41. Do they include a washer and dryer? The apartment is equipped with washer-dryer connections however the washer and dryer are not included in the apartment. Bluffs Landing Senior Village partners with washer-dryer leasing companies that can assist you with affordable rentals. We do have conveniently located laundry facilities that are open 24 hours on the site for all residents to use. 42. How do I get directions to Bluffs Landing Senior Village? For detailed maps and turn-by-turn directions to Bluffs Landing Senior Village please visit our Maps link on the website.